You've settled on a home you'd like to buy. But how much should you offer to pay for it? No strategy for establishing an offering price will be perfect, but here are some guidelines. 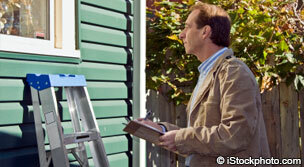 Think like an appraiser. Locate the most similar recent sales available, then compare features to the property you’re considering buying. You'll compare homes that have a similar location, square footage, lot size, number of bedrooms and bathrooms, finishes, amenities and age. These aren't going to be perfect apples-to-apples comparisons. The house may be of the same style or size, but it might be in a less-desirable neighborhood. Perhaps the home you want has a considerably better view. On the other hand, maybe it backs up to a railroad. What is the value of the features that the property you want to buy has or is missing? Your real estate agent should be able to help you with these estimates. Add to or subtract from the purchase price accordingly. An appraiser might also look at public records to see what the property sold for in the past and estimate a current value based on local price trends since the last sale. Decide what the property is worth to you. As a buyer, you don’t necessarily have to justify your asking price the way an appraiser would have to justify an appraised value. You can simply make an offer of what the property is worth to you. What price would make you feel like you got a fair deal? Think about how the property compares to others you’ve looked at and base your offering price on that amount. Use caution with this method, though: The problem with any approach that ignores the value of nearby properties is that, unlike most items we purchase, most of us will one day resell our homes. Whether you make a profit or whether selling is even an option will depend on how much you paid and what price the market will support. Also, if you’re going to have a mortgage, the appraiser will have to determine a value for the property. If that value is significantly lower than your purchase agreement price, the deal may fall through. Look at the ratio of list price to sales price. 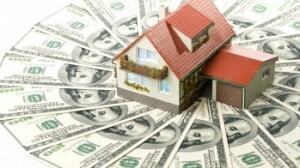 Do you feel comfortable assuming the property is priced reasonably for the market? If so, consider what other properties in the area have sold for as a percentage of the asking price. If properties are selling for an average of 95% of list price in the area where you want to buy, you can use 95% of the list price as your target purchase price. You could then offer less than that price to try to end the negotiation at the 95% point.